Item # 309981 Stash Points: 1,897 (?) This is the number of points you get in The Zumiez Stash for purchasing this item. Stash points are redeemable for exclusive rewards only available to Zumiez Stash members. To redeem your points check out the rewards catalog on thestash.zumiez.com. Get a flashy new piece of headwear with the Slushcult Holy Trinity Pinwheel Strapback Hat. 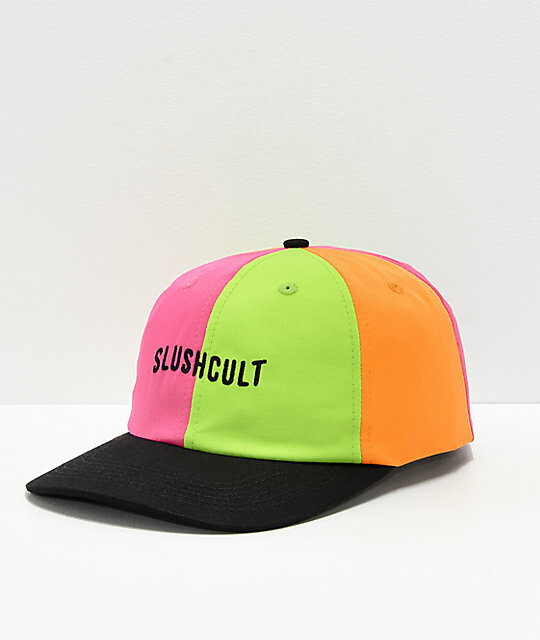 This brightly multicolored six panel hat features a contrasting black brim and black Slushcult text across the front of the crown for branding. Holy Trinity Pinwheel Strapback Hat from Slushcult. 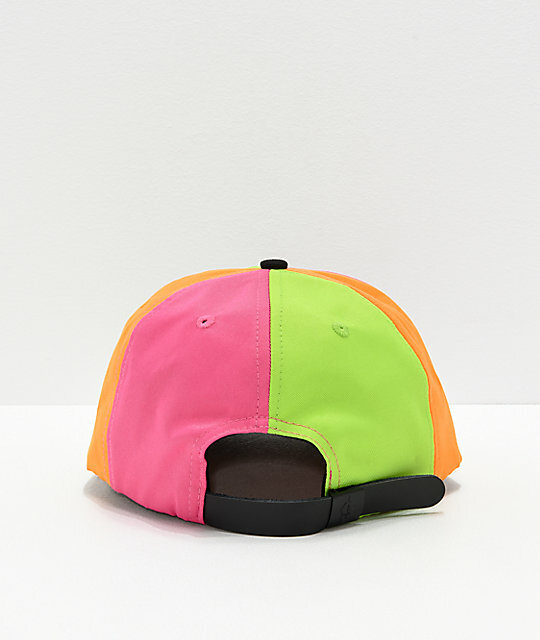 Unstructured multicolor six panel crown with a sewn on text at the front.